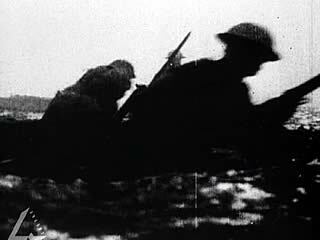 The clip begins with upbeat music and yet we know that many men were traumatised by their WWI experience in the trenches. The soldier narrator in the clip doesn’t speak of death but mentions aspects of the war like ‘we got to know France really well – down in the mud’. Some people argue that a soldier who has lived through the horror of war cannot or will not explain those experiences, but must ‘sanitise’ them to stay sane. Does this video clip give a similar representation of war, one that has ‘sanitised’ the experience? Give reasons for your answer. Conscription was a very passionate and divisive issue in Australian society in 1916 and again in 1917. How is the issue presented in the video clip? Investigate the varying views on conscription and those that supported and opposed it. In the video clip is either a pro-conscription, anti-conscription or neutral stance taken? Give reasons for your answer. The narrator mentions that in 1918 ‘the King came out and gave the boss his KCB’. Who was “The King’, and what was a KCB? Investigate on the internet more about ‘the boss’ – Major General Sir John Monash and his role in the Gallipoli campaign and in France. From the Digger History website: an unofficial history of the Australian & New Zealand Armed Services. Biographical information about Major General Sir John Monash KCB, VD, one of Australia’s most distinguished soldiers during the First World War.